Amnesty International has called on the government to "immediately stop" the demolition of homes and businesses in Kibera, and first complete the listing and resettlement of approximately 30,000 people. The demolitions are set to clear space for the construction of a proposed link road to ease traffic congestion in Nairobi. 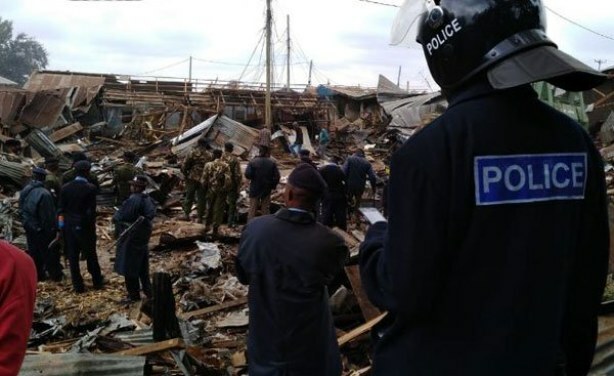 Police officers supervise the demolition of illegal structures in Kibera, Nairobi on July 23, 2018.